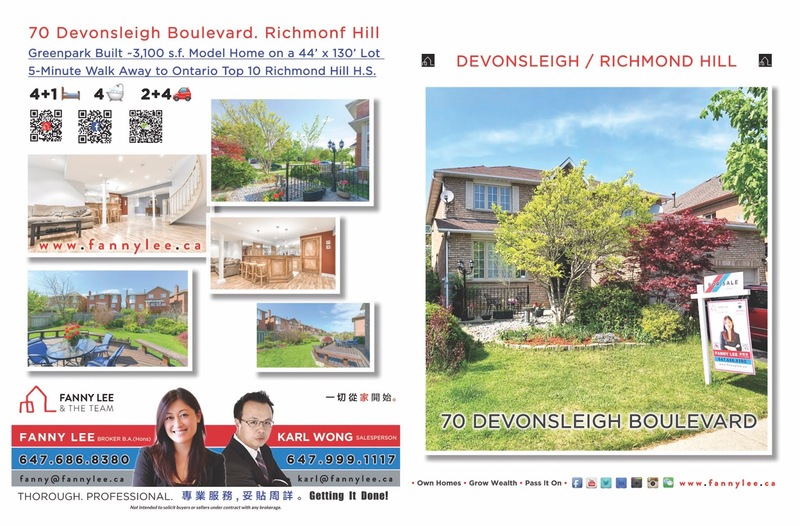 Richmond Hill is one of the educated town/city in York Region. It is not surprising that, for the past 5 years, 3 local high schools ranked with Ontario top 20. Richmond Hill High School (RHHS) is one of them. 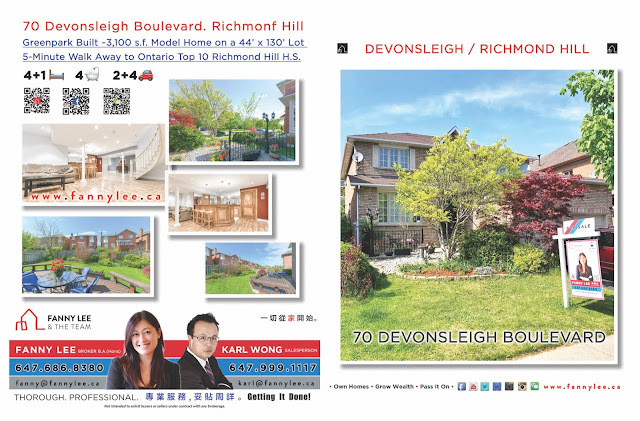 For those who are aspired to live close to RHHS, 70 Devonsleigh Boulevard could very well be the ideal home. If you plan to move in before the 2018-2019 school year, check out out the Sing Tao Real Estate Guide article or book a private showing now. 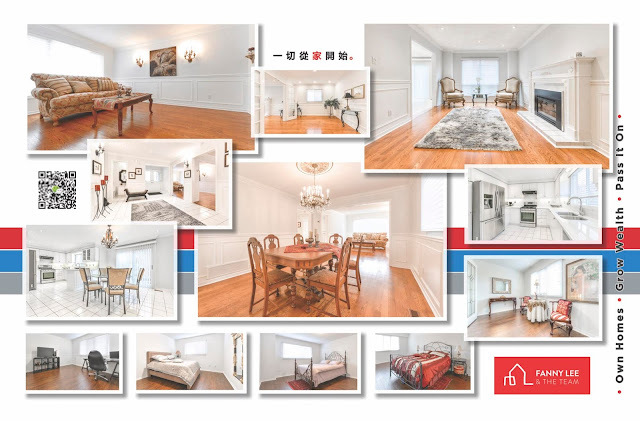 MLS #N4136340 Description: "Exquisite Sunfilled 3100 Sqft Executive Home At Heart Of Richmond Hill.5Mins Walk To Top-Ranked Richmond Hill Hs(12/623). Loaded W/Upgrade.Modern Kitchen W/Granite Countertop&Backsplash.S/S Appliances.Large Breakfast Area W/O To Deck.Grand Master Br W/French Door & Sitting Area.Prof Finished Basement W/Wet Bar&1Guest 3Pcs.Hardwood Floor Floor. New Paint. New Wainscotting. Crown Moulding. Lots Of Pot Lite. Library. Elegant Foyer.Park6Cars.Movein&Enjoy! **** EXTRAS **** S/S(Double Dr Fridge2015, Gas Stove2018,B/I Dishwasher,Range Hood), W&D. All Elfs. Roller Blinds2017, Windscotting2018, Hwt2018,New Toilets,Sink,Faucets,Cac,Cvac,5Min Walk To Richmond Hill Hs. Close To Trails.Step To Viva.Close To Amenities"